Life with a baby or a toddler is exhausting, life with a toddler and three more kiddos is extremely exhausting. Most of the time I feel torn in four different directions simultaneously,in addition to house work and staying on top of piles of paperwork, errands, and other commitments. Though stretched thin, like I usually am, I don’t feel like I have sacrificed myself to my family. It is true that uninterrupted “me time” has taken a backseat for the time being (babies are only babies for so long). But there are things that I am firm on keeping, and making a priority. Exercising is one of those things. As I mentioned before, it didn’t come naturally to me. I have always been a “sit on the couch with a book” homebody, with the exception of ballet classes I took through Middle and High school. A nerdy ballerina :). But as I get older, there came a point when I started to re-evaluate my life and make changes. The changes didn’t always turn out to be good (then back to re-evaluating it was!). But a change I made a few years ago was one of the best things that I have done for myself: I began exercising consistently and eating healthy. Being Capital “B”-busy, it is a challenge to fit in exercising. But just like I said, it is a priority and I make time for it, 4– 5 days a week is my goal. Why do I keep exercising? What do I gain from it? All those things are wonderful and pretty self-explanatory. Weight-wise, combined with healthy eating, it has helped me maintain my target weight long-term. Work-outs are my “me time”: I am an introspective person. Jogging is a perfect time to reflect on things around me. A lot of my “bright ideas”, recipes, realizations, etc. happen during my work-outs. Also, I get to listen to my favorite music, uninterrupted. It is not the kind of music I would play on my Pandora station while cooking dinner, but when I am working out– I turn it up! Exercising heals my aches: This was a completely unexpected discovery, and it sounds counter intuitive. When I feel like a total wreck, run over by a truck, and hit with a ton of bricks (well, you get the idea: when I do not want to move), I tell myself, “Just a short slow walk, just 5 minutes”. But once I am on it, my achiness starts to go away and my mind gets clearer. Before I know it, 20 minutes have passed, and I feel like a different person. Since I discovered this paradox, I look forward to my work-outs whenever I am not feeling 100%. Connection to “Grace and beauty” within: Remember, I used to be a ballerina– a Russian school of ballet at that, the essence of which is “through sweat and pain to grace and beauty”:). My Pilates routine is the source of both: lots of pain, but also undeniable grace and fluid beauty in every movement. Setting example for the kids: My 15 year old took after me, and resisted any kind of sport activities for a long time up until recently. But she is now reaching that point when she is ready to make some good changes to her life. I am happy to see it. I am very happy about the discoveries I made, and I wanted to share them with you. I will write about “when” and “how” I exercise in future posts. Stay tuned! I need to make exercise a priority. And it’s true that when I do it, I feel better. For a while, I was going to boot camp 3 times a week, and it was amazing. But I fell out of the habit, and it’s so easy to make excuses — the weather, not enough time, I’m tired… well, you know the list. I just need to do it! Hi Amy! You are so right, it is really hard to break the cycle of making excuses. My turning point was when I started looking at working out as “me” time. Knowing I am doing something really good for myself keeps me going. And, of course, finding the right type of exercise is key. Do you think you will be continuing with the boot camp? I am confident that you will be back on track with your routine in no time! 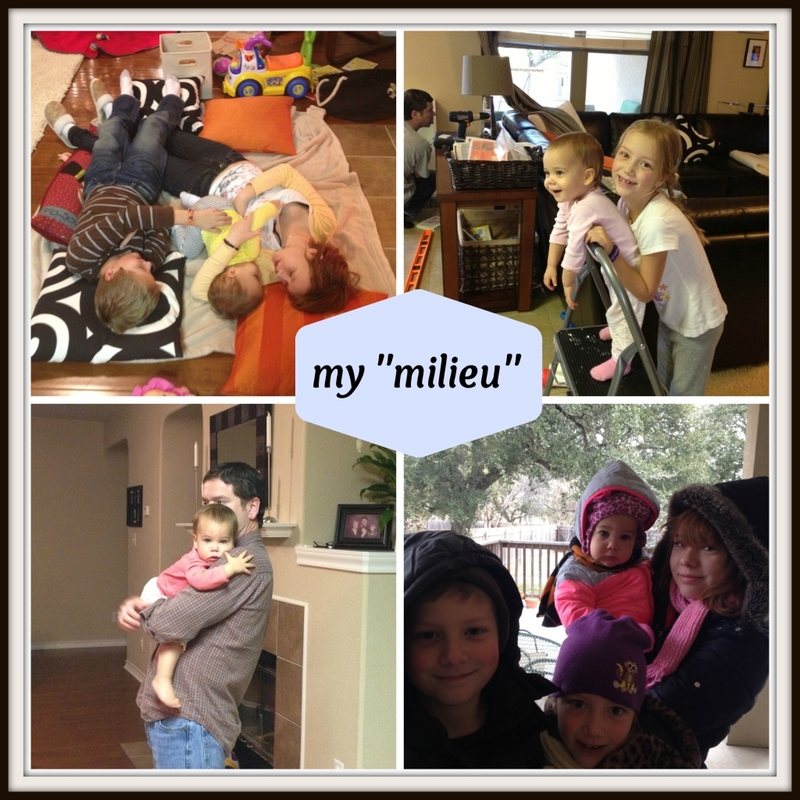 Hi Mila, thank you for sharing! Exercising is also my “me” time. I love how I feel after the workout. What helps me stay on track is making it a habit, a part of my weekly schedule, like any other appointment. Sometimes I may not feel like doing it, but it’s a lot easier to stick to it, when it’s a part of your weekly routine. Another thing that works for me is timing it to kids’ activities. I take my son to swimming classes a couple of times a week. Once a week, while he’s swimming, I will work out, instead of waiting for him and catching up with other moms or running errands. If he’s not missing his swimming class, I’m not missing my workout either! Hi Darima, I couldn’t agree more! It is easy to get caught up in errands and catching up, but when you put yourself first–it is a whole different perspective and a huge boost to the motivation. Having a schedule is super helpful for me too, even if I have to tweak it a bit due to the circumstances. And once you are on track with your schedule, it eliminates the “I have no time to work out” excuse!